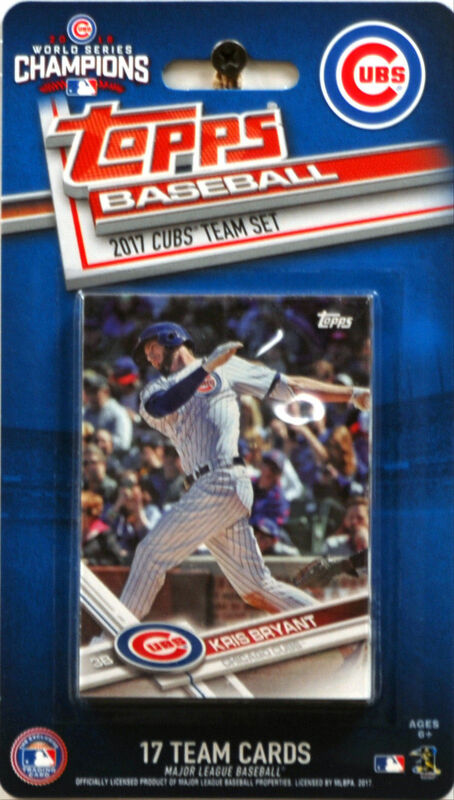 This is a 2017 Topps Chicago Cubs Factory sealed special edition 17 card team set. Cards are numbered CHC-1 through CHC-17 and are not available in packs. 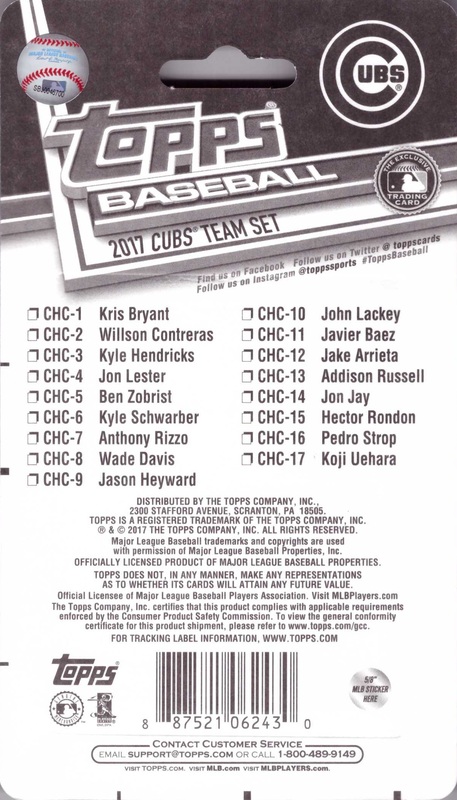 Players included are Kris Bryant, Willson Contreras, Kyle Hendricks, Jon Lester, Ben Zobrist, Kyle Schwarber, Anthony Rizzo, Wade Davis, Jason Heyward, John Lackey, Javier Baez, Jake Arrieta, Addison Russell, Jon Jay, Hector Rondon, Pedro Strop and Koji Uehara. 2016 World Series Champions! All cards from team sets are in Near Mint to Mint condition, and will be packaged securely for transit.